I decided to celebrate the New Year’s Eve in a warm and inviting land, where the rich cultural, artistic and historical heritage meets delightful food, sun (even in the middle of winter!) and breathtaking landscapes: Puglia. I had never been there before, but in 5 days I saw so many things I was absolutely delighted by. I drove from north to south and from east to west, coming across archeological areas, smashing monuments, sun-drenched and silent beaches overlooking the sea, narrow white alleys full of coloured flowers, the depth of the caves adorned for Christmas and, last but not least, excellent restaurants with delicious typical food. Everywhere I went, I felt at home! 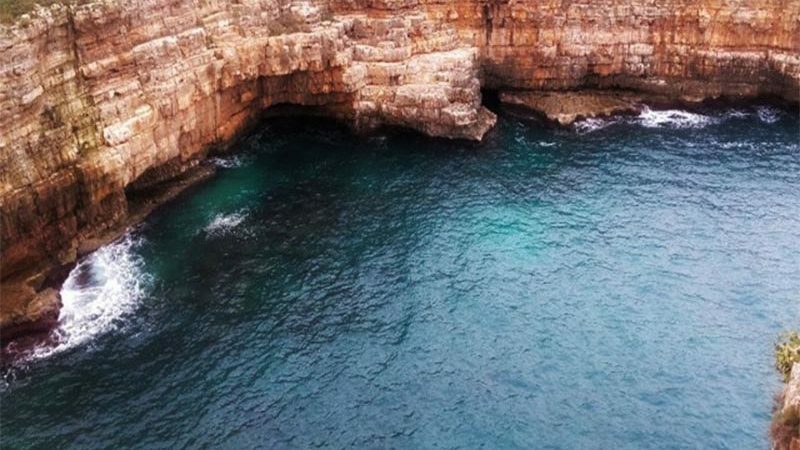 The following itinerary was our 5-day itinerary in Puglia. Our first step was the marvellous city of Lecce by night, with its old town overflowing of Baroque churches, cloisters and palaces. Piazza Duomo amazes with its architectural complex of richly decorated palaces which surrounds a small square embellished by lights effects, but the Basilica of Santa Croce with the ex Convento dei Celestini enchants at the first sight. This can be considered as the emblem of leccese Baroque! Papier-mâché workshops show another excellence of this territory, an inseparable link which tells about its tradition and history. Gallipoli, greatly appreciated by the youth during the summer thanks to its beautiful beaches and social life, but also interesting for its old town snug alleys. Read more about Salento bike tour. 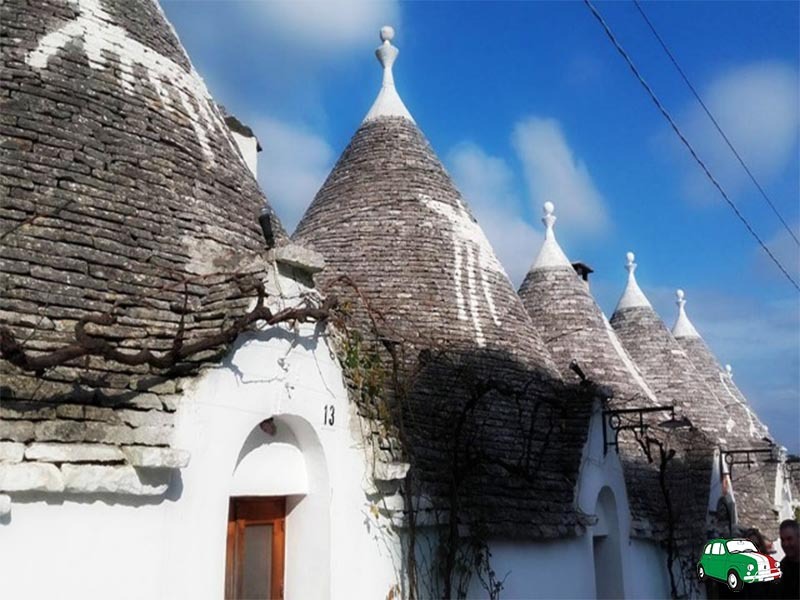 Not far from Lecce, there is one of the most surprising Italian Silk Road World Heritage sites: Alberobello and its 1400 trullos, built as a dry stone hut with a conical roof, a typical style construction of Valle d’Itria. These trullos are divided into two quarters, Monti and Aia Piccola. The bright narrow ways are full of little shops, and some of them can show you the original internal structure of trullos, with additional living spaces in arched alcoves. On the roofs, mysterious whitewashed symbols had a propitiatory purpose. Then, it was time for visiting Bari and its coast: Monopoli and its old town with a maze of white lanes, which housed us with an unusual silence in the first hours of 2016, and Polignano a Mare, a lovely town where you can get lost among flowering alleys and terraces facing the cliffs overlooking the sea, with underwater grottos. There you can walk through the little streets, where famous handwritten poems and quotes adorn stairs, walls and doors giving to this town a romantic atmosphere. What about Bari? Its coast, the longest one in Italy, is brushed by the sea and the wind. Beautiful elegant palaces pull up alongside the promenade, while the old town Bari Vecchia is a small world unto itself, maybe a little bit “coy”, but full of fascinating glimpses like the San Nicola’s Basilica, or the nice old ladies who are always ready to prepare some orecchiette on request! Two more places before coming back home. 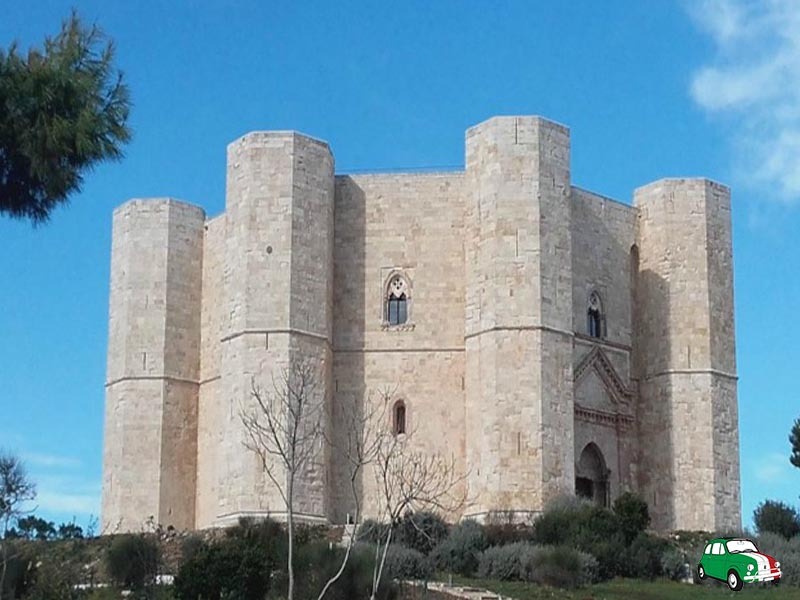 Castel del Monte is an incredible austere castle, another UNESCO site, built in the 13th century by the Emperor Frederick II, known for his high learning and culture. The fortress stands alone on the top of an hill and it has a characteristic octagonal shape, with 8 towers on the corners and 8 inner rooms on each floor, surrounding a central open air courtyard. 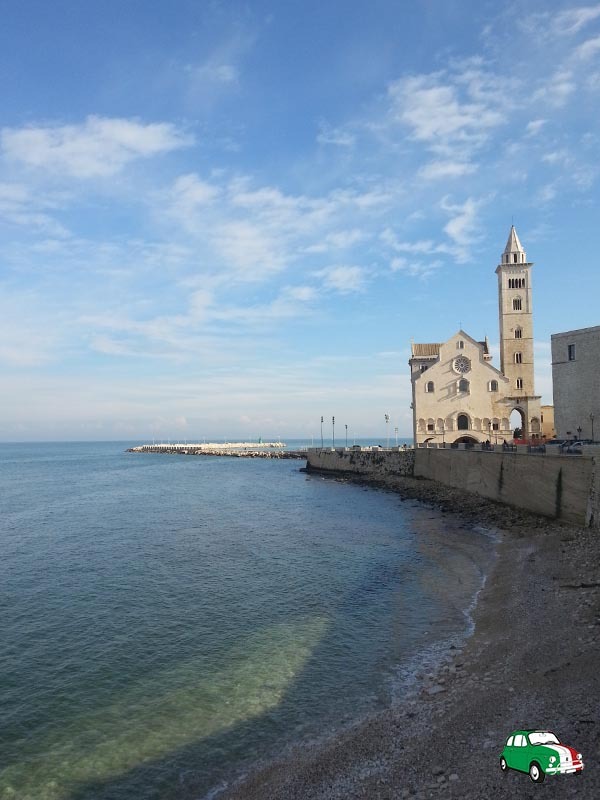 Last stop: the picturesque Trani, its Romanesque Cathedral standing over the sea and, just beyond it, the Castello Svevo – even this, built by Fredrick II in the middle of the 13th century. This historic fishing port is a perfect place to relax, maybe eating a typical focaccia! Our trip lasted only 5 days, but we saw so many places I really can’t tell you in just one post. If you want to have further information about places I visited, leave a comment below or write us an email. Do you recommend staying in one place and doing day trips or a different spot each day? I prefer not to change hotels often. When flying in from the US, to what airport would you suggest? What about leaving then going to Milan? This is an itinerary changing hotel every night, but you can reduce the area to visit so that you can stay in only one hotel and explore the surrounding area. For example you can choose Bari like your starting point for your day trips. Bari is a very lovely city with a not-to-be-missed part: the Old city. Not far from this city you can visit Trani, Polignano a Mare, Putignano (famous for its Carnival parade), Gioia del colle (famous for mozzarella production) and many other towns. You can fly from Bari airport to Milan or Rome and then to the US. The blog post has been written by another person. But I know quite well Puglia region and I can give you some information to visit it. 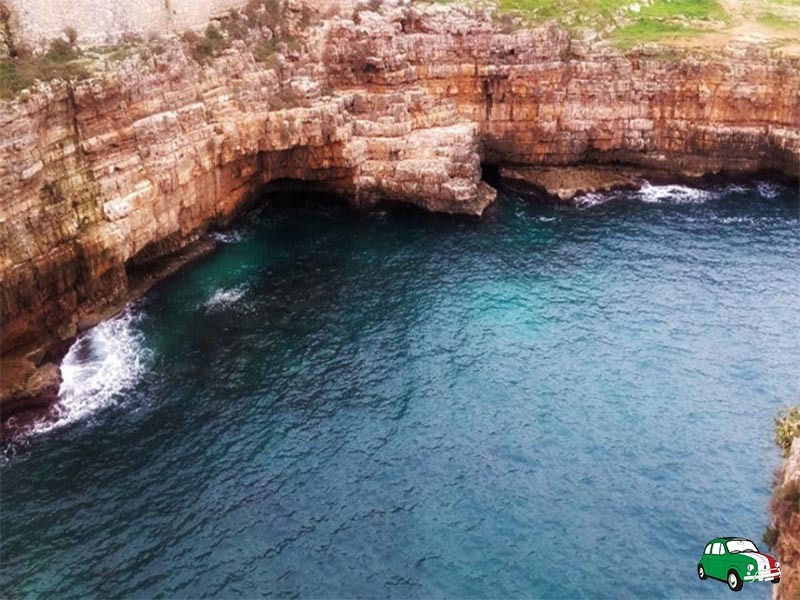 I know the northern part of Puglia, Gargano area. 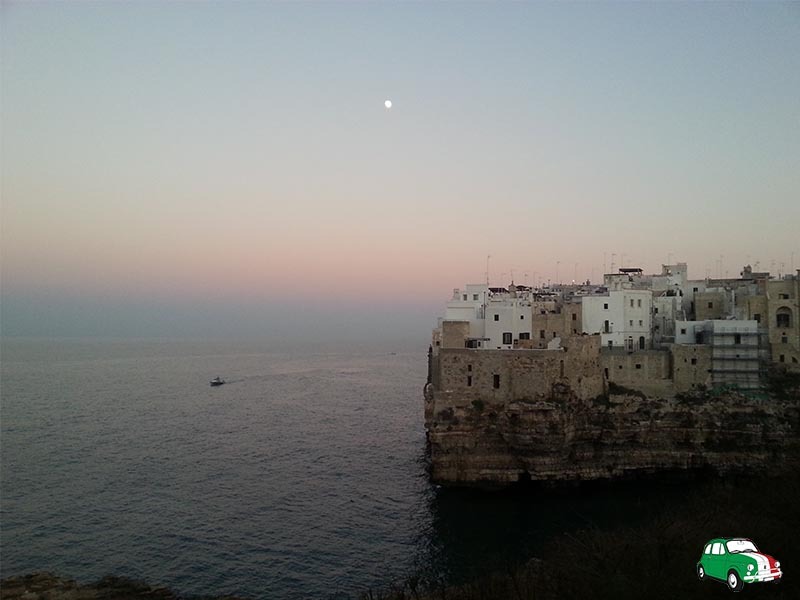 I stayed in Bari and visited the city including Trani and Polignano a mare. I stayed in Ceglie Messapica not far from Ostuni, the white city. I drove in the inland part of the region starting from Matera (Basilicata region) and reaching Cerignola.